Personalized Bride. 100% cotton t-shirt. 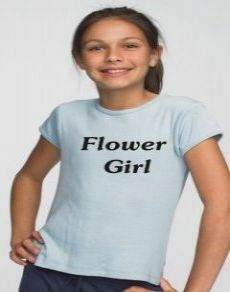 Flower Girl Printed on Front.